TechnoServe is featured on Forbes's list of nonprofits to consider in your holiday giving. Yesterday, Forbes kicked-off their 12 Days of Charitable Giving, featuring TechnoServe as the first in its series of reader-nominated organizations to donate to as we approach the end of 2016. TechnoServe is proud to see how stories about our work impact readers and donors around the globe. 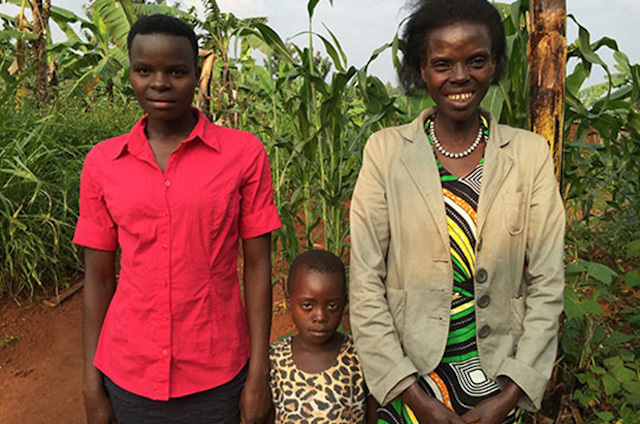 The reader who nominated TechnoServe highlighted the story of Athanasie, who overcame tremendous obstacles to rebuild her family’s life after fleeing violence in Rwanda and losing her husband. As part of TechnoServe’s Coffee Initiative, Athanasie improved the yield and quality of her coffee harvest, ultimately tripling her income. Her success with coffee has enabled Athanasie to support a household of six, affording medical insurance for her extended family and school fees for her children. Athanasie’s story is a powerful example of TechnoServe’s belief that enterprising people can create lasting prosperity for their families when connected to information, capital and markets. Thanks to supporters like you, last year TechnoServe helped 1.6 million people improve their incomes and the health, education and welfare of their families. But our job is far from over. Help us make an even bigger impact in the new year by making a gift to TechnoServe today.